Gastrointestinal (GI) disorders afflict millions of North Americans, and Irritable Bowel Syndrome – better known as IBS – is one of the most common types. The condition affects the colon, and the symptoms include stomach pain and cramping, bloating, flatulence, and urgency to use the bathroom. In addition, sufferers of IBS often deal with body ache and fatigue, and general feelings of sickness. Cannabis can be used to treat many of these symptoms, providing natural, homeopathic relief, and enabling individuals to avoid the detrimental side effects that come along with prescription alternatives. 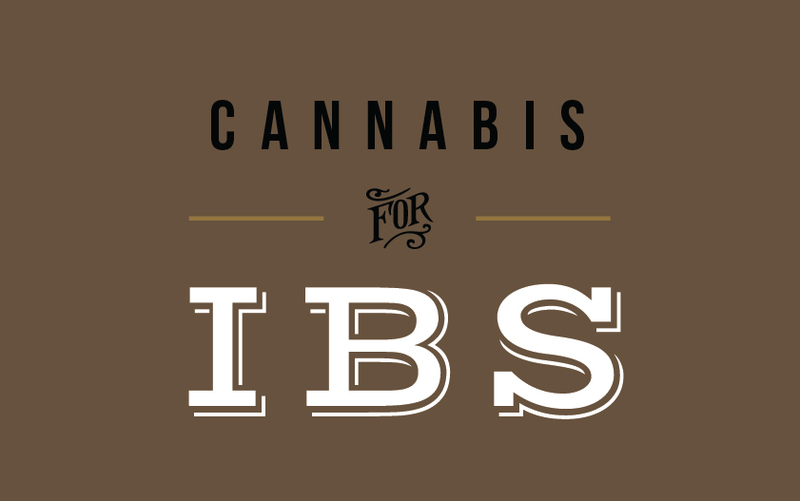 Like the other symptoms and conditions cannabis addresses, relief from IBS is believed to stem from the interaction between cannabinoid compounds in the plant and the body’s own endocannabinoid system. Proper production of endocannabinoids like anandamide and NADA encourages balance in the body (which equals good health), while a deficiency of an endocannabinoid or neurotransmitter (such as dopamine) causes imbalance. Cannabis does not cure IBS, but anecdotal evidence provided by individuals who have tried the treatment – often when all else has failed – indicates the plant and its derivatives can greatly decrease the severity of symptoms, and in some cases eradicate them completely. In some cases, IBS attacks can be caused by excess stress and anxiety. As well, depression and anxiety often develop as a result of the condition; this creates a cycle difficult to escape. Unlike other medications that may be specifically formulated to address the physical symptoms of IBS, cannabis can holistically tackle these psychosomatic causes, as well. Unfortunately, regulations on cannabis have prevented much study into the plant’s benefits for people with IBS; most of our information today comes from the individuals who have used cannabis to treat their symptoms. There have been some pre-clinical animal trials that highlight the potential. Studies have shown cannabis can lessen acid reflux and intestinal secretion, and heal damage to the tissues that line the bowels. Plenty of evidence already exists supporting cannabis’ ability to reduce inflammation, which is a problem for people with a similar condition, Inflammatory Bowel Disease (IBD). Research into Crohn’s Disease (another GI disorder) has also shown promise. 70% of a small sampling of people found cannabis fostered “significant improvement” in their symptoms, and evidence also suggests individuals treating with cannabis require fewer GI-related surgeries. The antispasmodic effects of cannabis are already known and embraced by people with multiple sclerosis and Parkinson’s disease. A 2003 Italian study found that THC, the psychoactive cannabinoid found in cannabis, plays an important role in intestinal motility as well, and can ease and even eliminate spasms in the colon that cause abdominal pain. At FARM, we offer a great selection of cannabis products that can help you finally find the relief you’ve been searching for. Vaporize, eat, or sublingually ingest your cannabis – any method can tackle the myriad symptoms of IBS. Cannabis flower strains are versatile medication that can be added to a joint or vaporizer, baked into cookies, or transformed into medicated “budder”. Come evening, turn to a tincture like 35mg/ml THC, a tasty, fast-acting option that is applied under the tongue with a dropper. And to alleviate the pain of cramps, you can always relax with a topical balm or bath soak, muscle-calming treatments with no psychoactive effect. Talk to FARM staff today about the best cannabis strain for IBS and its affiliated symptoms, and discover all-natural relief that is safe and effective. The Hillside Cannabis Retail Shop is located at 3055A Scott St, Victoria, BC. The Downtown Cannabis Retail Shop is located at 1402 Douglas St, Victoria, BC.